The Cham Elips reclining chair easily reclines into five positions and features the new Air Comfort seat pad. With three layers of technologically advanced fabric; an ultra breathable top layer, a padded, permeable, middle section and Batyline base layer. 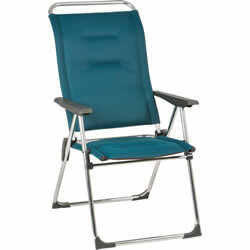 The Cham Elips Air Comfort seat cushion does not retain water, is extremely quick drying and wonderfully comfortable. Reclining smoothly into 5 positions for unrivalled comfort, this high backed chair sacrifices nothing in style. 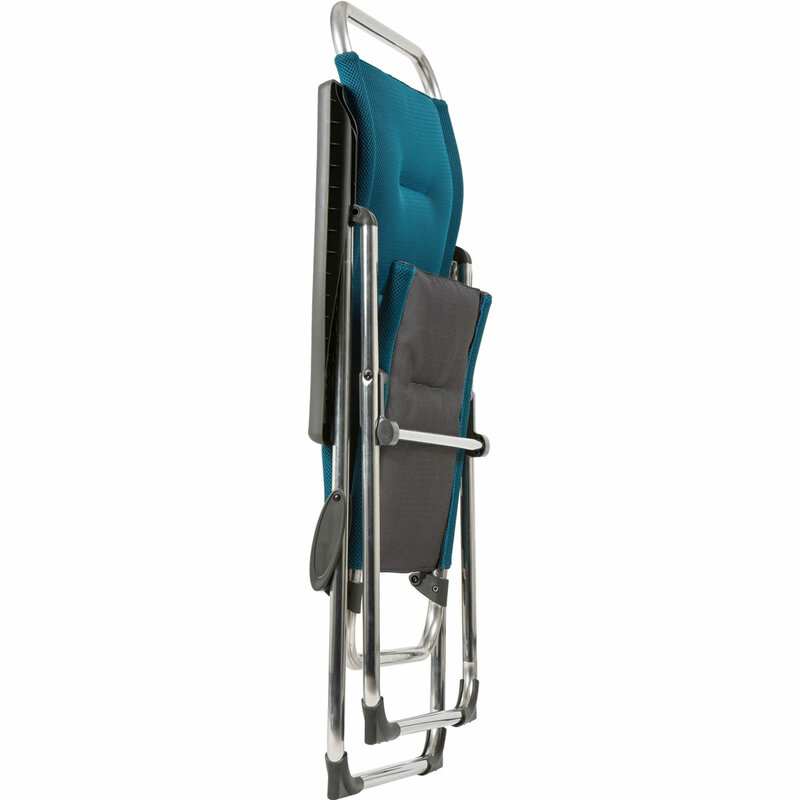 Its seat back rack adjustment system is fitted ingeniously into the smoothly moulded armrests. The top of the seat is also cleverly angled in order that your head can rest against the taut fabric instead of a hard frame. Simply recline and enjoy! The Alu Cham Air Comfort uses a technical 3 layer seat pad that combines breathable and permeable materials to offer unrivalled comfort, unbelievable softness, excellent breathability and a super quick drying time.